We’ve been privileged to work on some amazing properties. We work hard to get the lighting just right for the needs of our clients. Below is a video slide showing some of our past work. There are also additional photo galleries full of images behind the links at the bottom. The trained team with TouchStone Accent Lighting has over 20 years of experience, and over 5,000 installations behind them. 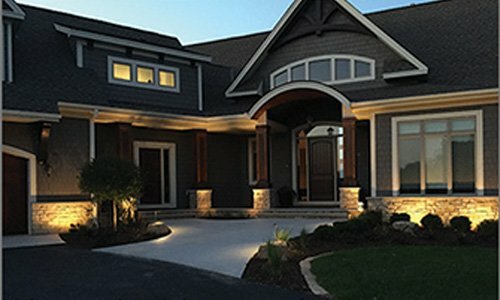 Our hands-on experience and continuing work with homeowners and commercial property owners put us on the front line of landscape illumination technology. 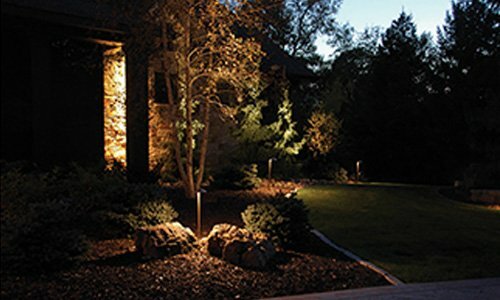 We understand the concerns homeowners have when considering the use of low voltage landscape lights to illuminate their property. Will the lights be bright enough? Will the energy costs be prohibitive? How can accidental damage to the fixtures be avoided? Our trained team of illuminologists has the knowledge and expertise to answer these and any other questions that might arise. 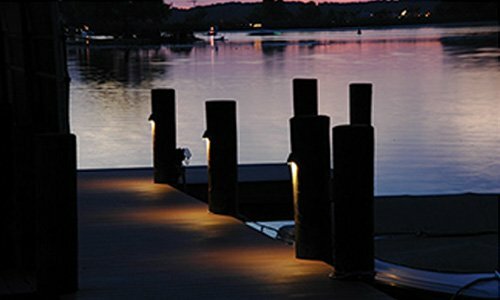 Our outdoor lighting design guide is available to help you create the right illumination package for your property. 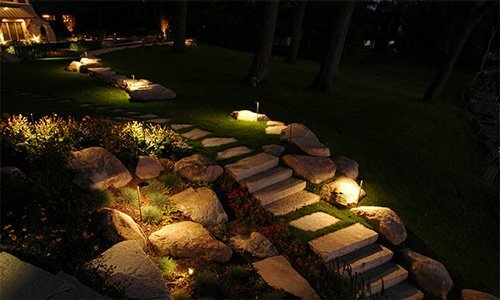 Landscape illumination is about more than presentation. 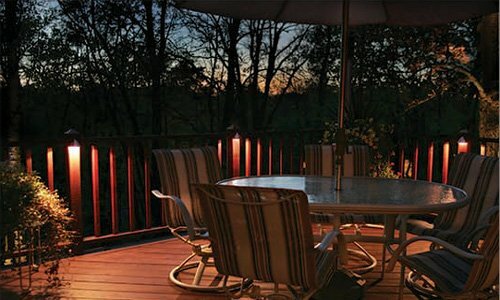 It provides you with the peace of mind, safety and security you need to enjoy your outdoor spaces. 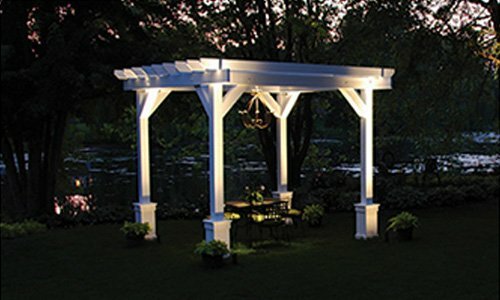 Whether you’re seeking to light up a walkway, fence, deck, pathway, steps, water feature, or flagpole, we have the specialized lighting fixtures to meet your needs. Whether you’re a homeowner, professional landscaper, or do-it-yourself. 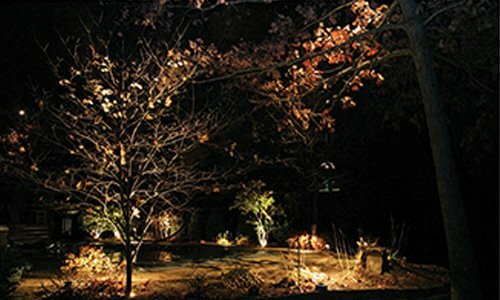 We offer the advice, assistance, and full range of professional installation options you need to create the landscape illumination design of your dreams. Call or click today, to schedule your initial consultation.